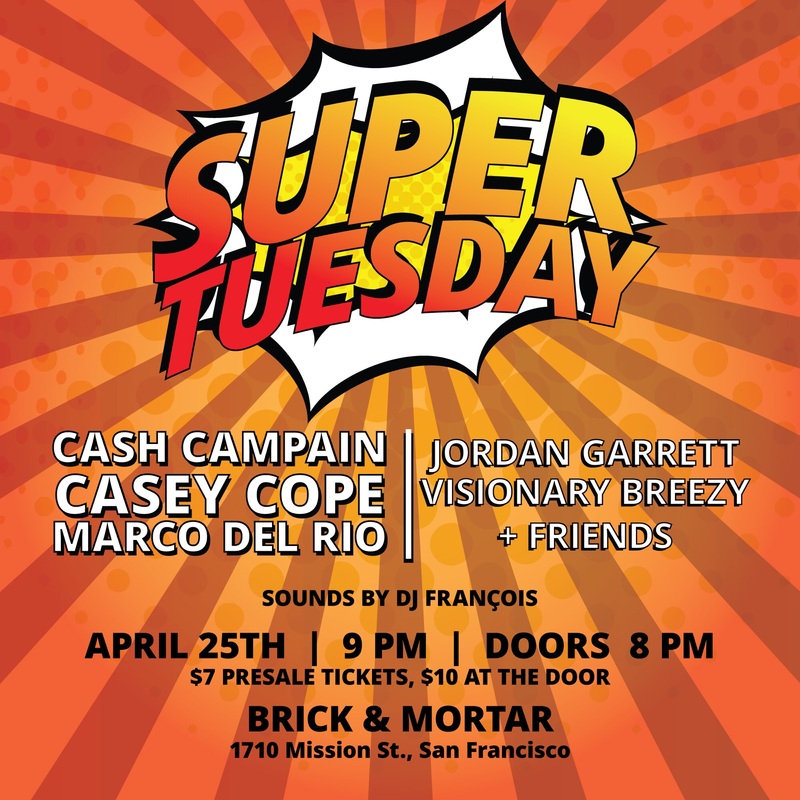 Cash Campain, Casey Cope, Marco Del Rio, Jordan Garrett, Visionary Breezy live at Brick and Mortar Music Hall Tues 4/25! 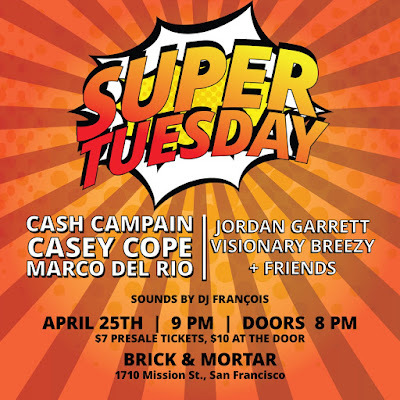 Come see Cash Campain, Casey Cope, Marco Del Rio, Jordan Garrett, Visionary Breezy and some surprise guests live, Tuesday April 25th at Brick and Mortar Music Hall! 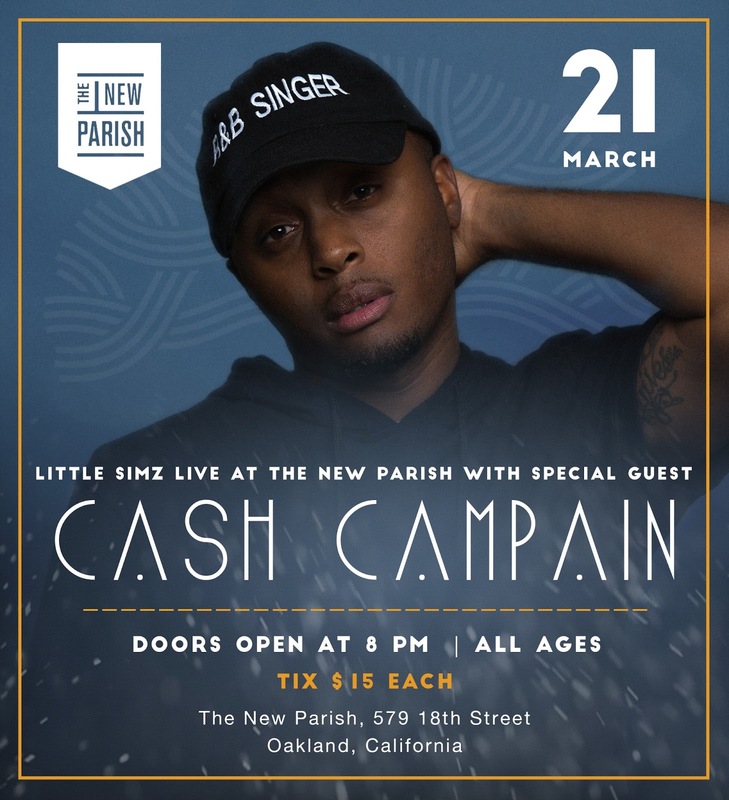 Cash Campain and Little Simz live at The New Parish Tues 3/21! Come see Cash Campain and The Bad Boy Gang live at the New Parish, Tuesday, March 21st. Find Cash Campain all over the web!